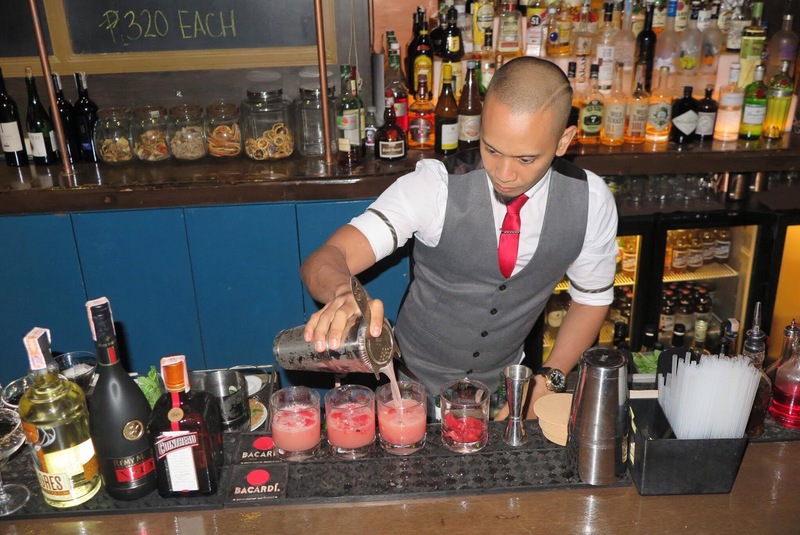 After bagging the title of Cocktail Champion at the recently concluded La Maison Cointreau Manila 2016 competition, Philippines' lone representative, Mr. Cedric Cello, is set to fly to Phuket, Thailand this October 24 to compete for the exclusive by-invitation only La Maison Cointreau Bartending Competition Regional Finals. Cointreau, the French orange liqueur brand established in France (Loire Valley) over 165 years ago, will be holding the regional competition in Thailand, wherein Asian cities' best of the bests who go head to head to win the title and compete in the international scene. Cello who wow the local scene with his winning cocktail "Gossip" hailed from Smith Butcher and Grill Room. The challenge was to serve their original Cointreau based cocktails with outstanding taste and flavor as a paramount criteria, with technique, presentation and consistency as the clincher for a winning cocktail. 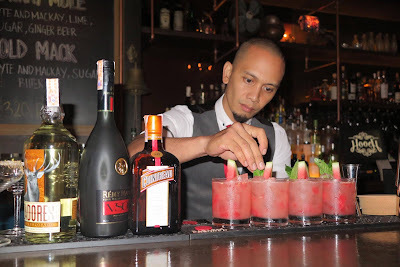 It is a real world competition whereby each of the seven bartender finalists prepped over 100 cocktails for the guests to sample and only one hour to serve their respective concoctions in a high volume bar environment that tested the competitors speed, and ability to engage the crowd. Inspired by Cointreau Privé in Paris, La Maison Cointreau was first launched internationally in New York City, with the aim to introduce Cointreau as the avant-garde and Parisian style spirit that enables mixologists to explore limitless cocktail variations using Cointreau, the heart of cocktails. 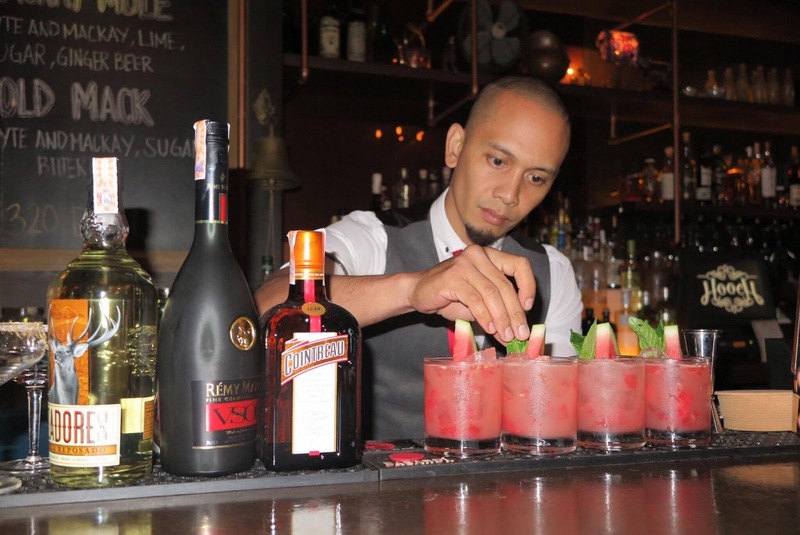 When Cello was asked what would be the Filipino Bartender’s winning edge on the international stage, he answered "Filipino bartenders are creative, passionate and dedicated in what they do and at the same time they easily relate to other people. A bartender should love what he's doing with a passion and heart to develop his craft." He further expounded on his choice of career by saying: "Love of creating things while using my hands and crafting a piece of art for others to experience. Early on, I didn’t really consciously decide to become a bartender, it was more of a gut-feel that this profession will lead me to greater experiences." Cedric believes that part of his job is making his customers feel welcome and being able to gauge their mood. Helping them unwind after a hard day’s work, and if need be, to lift their spirits in celebration. "It would all be a matter of right employment of the craft, reading the room while properly gauging the mood of the moment, and concocting the right mix of spirits and flavors to hit right spot," Cello concluded when asked how he would be able to bagged the title to the regionals. Truly bartending is an art with no hard and fast rules. It's all about the knowing the right moment to achieve that happy state of inebriation for the lucky tippler. Good luck, Cedric!